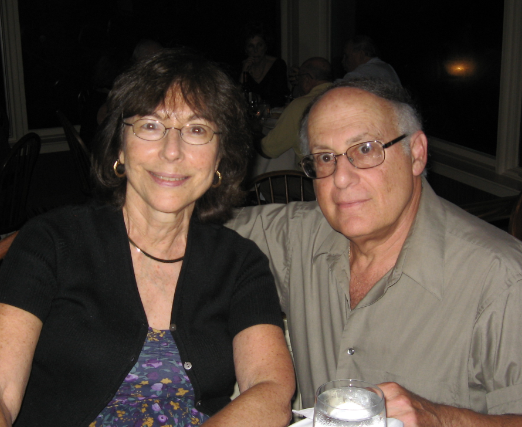 My late wife Olivia Rubin had survived both Hodgkin’s disease in 1974 and Breast cancer in 2008…but unfortunately succumbed to Mesothelioma on March 1, 2012, only 16 days after initial diagnosis. Olivia was a wife, mother, grandmother, and teacher for 32 years. She also found the time to volunteer for the Boy Scouts of America, our local ambulance corps, the American Cancer Society, and Cancer Hope Network. In 2008, after Olivia underwent both surgery and chemotherapy, I decided to take her away for a surprise getaway to our favorite Bed and Breakfast, The Woolverton Inn in Stockton, New Jersey. I hadn’t told her where we were going…and when we arrived she was thrilled. After our three-day getaway, Olivia told me many times how that short vacation had meant so much to her and how it gave her renewed hope after completing medical treatments. After Olivia had passed, her gratefulness for those 3 wonderful, relaxing days had me thinking…how can I help other cancer survivors in a similar way? After talking with Cancer Hope Network, my idea to donate a similar gift of hope and recovery to others going through a cancer diagnosis was born. In honor of Olivia, I will be funding a 3-day/2-night midweek stay for 2 people at the Woolverton Inn in Stockton, New Jersey twice a year; once in the fall/winter and once in the spring/summer. The rooms will be in a category that I select and the costs for the room and all sales taxes will be covered. There will also be a cash stipend provided for meals that are not provided from the Woolverton Inn. Each person nominated to receive this gift will be chosen at random and will need to be a patient who received support from Cancer Hope Network and is local to the area. With 2 recovery getaways already gifted, I know that Olivia would be so happy with this program and gift of hope. It is fulfilling to know that the enormous impact this small recovery getaway had on her will do the same for others. Next Next post: Help wanted: giving hope, sharing hope.